HOME > TECH > ‘Call of Duty: Advanced Warfare 2’ Rumors: Next ‘Call of Duty’ Installment in the Works; ‘Call of Duty’ returning to Modern Warfare? ‘Call of Duty: Advanced Warfare 2’ Rumors: Next ‘Call of Duty’ Installment in the Works; ‘Call of Duty’ returning to Modern Warfare? 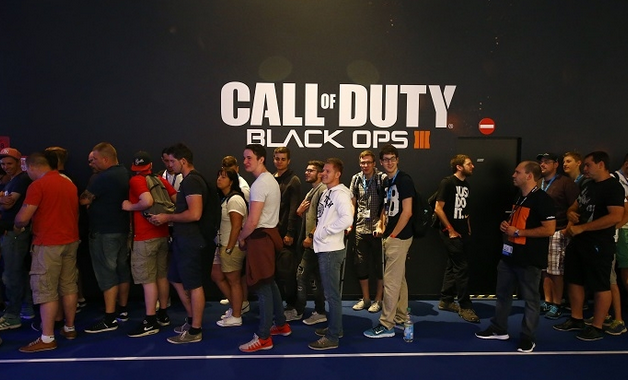 Two weeks ago, another "Call of Duty" franchise, titled "Call of Duty: Black Ops 3" was released. Video game developer Sledgehammer is now working on its next game title, and as stated in his Twitter profile, Sledgehammer co-founder Glen Schofield says he is so damn excited about its next "Call of Duty" game, Movie Pilot reported. There really is not much news about the upcoming game, except that in Schofield's Tweet, Sledgehammer has listened to gamers' responses and had based the new game the way gamers wanted it to be. The developer plans to come out with an idealistic and heroic new game, but nobody really knows what this means. Sledgehammer was busy working on a new type of "Call of Duty" game before they got involved in the "Modern Warfare 3" game. The new project is a multi-gamer all working for a shooter played in third person. Certainly depending on how one looked at it, the original developer Infinity Ward required assistance for the new "Modern Warfare 3" where Sledgehammer stepped in to help finish the game in time for the release. As a result, the new innovation was placed on hold. With the release of "Modern Warfare 3," the video game developer had to work more on "Advanced Warfare" in order to yield the third person project. However, up to this day, the "Call of Duty" game remains dormant though it had been revealed with a gameplay trailer which was just few weeks away from showcasing. This shoulder shooter game is known as "Call of Duty: Fog of War" which includes scenery of the Vietnam War. Infinity Ward did almost the bulk of the "Modern Warfare" series, with Sledgehammer making a portion of the new game. This implies that a specific gamer can view more of the "Modern Warfare" sometime next year. Note that "MW 3" was the last of its series after its developers began working on the "Advanced Warfare." They have done a great job and plan to make the next "Call of Duty" game be what gamers really want. It is going to come out with real-to-life gameplay, realistic gears and weapons, and should acknowledge bigger and better map locations. No one really knows whether the next "Call of Duty" game should come with third person shooter, an "Advanced Warfare" title or a comeback to the Modern Warfare era, or simply a mixture of both. Just one thing is certain about the upcoming release - Sledgehammer is rocking with a big hit, and Schofield is daringly excited about it!